Was Ellen White a victim of mercury poisoning? And could it account for some of the unusual health and psychological problems she experienced throughout her life? Mercury is a deadly poison associated with a variety of physical, mental, and psychological problems. Since Robert Harmon soaked his material in a mercury-containing solution, as many hatters of that time-period did, it is nearly certain that Ellen came into contact with that material as she sat in her bed making crowns for the hats, and it is most likely she incurred some degree of mercury poisoning. Concentration and attention problems: One of the initial signs of mercury poisoning is difficulty in concentrating. Ellen said she found it difficult to attend school, admitting "it seemed impossible for me to study and to retain what I learned. "10 However, she blamed the cause of this problem on an earlier head injury. Older Ellen Constantly Battling Mercury-Related Health Problems? A Cause of the Visions? This would complement modern research which suggests Mrs. White may have been the victim of temporal lobe epilepsy. The mercury may have been a trigger for Mrs. White's epileptic-like seizures, which were interpretted by those around her as "visions" from God. More than one physician acquainted with Ellen White considered her to be afflicted with a condition commonly called "hysteria." Doctors in the 1800s were unfamiliar with all the nuances of mercury poisoning, but today doctors know that "seizures are a well-known feature of mercury toxicity (as are so many of the other physical and mental features of 'hysteria'...)"48 In fact, Sigmund Freud "frequently misdiagnosed mercury poisoning as hysteria...the similarity of severe clinically defined hysteria to mercury poisoning is striking: from visual field constriction to gastric pains to numbness and paralysis and mental disturbances. "49 Therefore, it is possible that Ellen White's physicians, like their contemporary Sigmund Freud, misdiagnosed Mrs. White's hallucinations and other unusual symptoms to be hysteria, when in fact they may have been triggered by mercury poisoning. Unfortunately, there are no "typical" symptoms of mercury poisoning that could easily be used to classify Mrs. White's condition beyond all possibility of doubt. Effects vary considerably depending upon one's age, weight, rate of exposure, type of mercury, and route of exposure (inhalation, skin, etc. 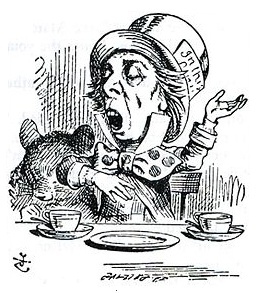 ).50 However, since her father was a hatter who used mercury to prepare his hats, and since she assisted him, at least for a while, in his business, she was definitely at risk for exposure to the poison. While many of the symptoms Mrs. White experienced could have had multiple causes, the sheer number of commonalities between her symptoms and mercury poisoning symptoms would suggest she had at least a mild exposure to mercury. If this is the case, it is sad and unfortunate and Mrs. White is deserving of our deepest sympathy. Furthermore, this could, in part, explain some of the unusual physical symptoms and psycholgical behaviors exhibited by Mrs. White throughout her prophetic career. 1. Dennis William Hauck, Sorcerer's Stone: A beginner's Guide to Alchemy, p. 152. 2. D.P. Lyle, Forensics and Fiction, p. 111. 3. Arthur L. White, Ellen G. White: The Early Years Vol. 1 - 1827-1862 (1985), p. 22. 5. Ellen White, Life Sketches of Ellen G. White (1915), p. 47. 6. "Spills, Disposals, and Site Cleanup", http://www.epa.gov/hg/spills/, extracted Nov. 9, 2009. 7. Taken from the article "A Study of NY City Area Fur-Cutters c. 1910" on the web site http://dqhall59.com/amalgamdisease/toxicmercury.htm, which is based upon "Mercury Poisoning in the Industries of New York City and Vicinity" by Mrs. Lindon W. Bates, 1910. 8. "Mercury Poisoning Symptoms", http://www.harrycroll.com/mercury/mercurypoisoningsymptoms.html, extracted Nov. 9, 2009. 9. Ellen White, Life Sketches of Ellen G. White (1915), p. 19. 10. Ellen White, Life Sketches of Ellen G. White (1915), p. 18. 11. "Symptoms of Chronic Mercury Poisoning", http://www.mercurypoisoned.com/symptoms.html, extracted Nov. 9, 2009. 12. Ellen White, Life Sketches of Ellen G. White (1915), p. 19. 13. "Mercury Poisoning Symptoms", http://www.harrycroll.com/mercury/mercurypoisoningsymptoms.html, extracted Nov. 9, 2009. 14. Ellen White, Life Sketches of Ellen G. White (1915), p. 19. 17. Ibid., p. 21. Mrs. White complained of depression nearly her entire life. For example: "I feel rather cast down." (Manuscript 5, 1859). 18. Ibid., p. 71. In 1853, Ellen lamented of being nearly too weak to write out a vision, having "been very feeble and after I wrote the vision found my nerves were so weak I could not answer your questions." (Ellen White, Letter 11, 1853, to Brother Pierce. This letter is currently unreleased by the White Estate, although parts of it appear in Early Years, p. 404). 19. "Mercury Poisoning Symptoms", http://www.harrycroll.com/mercury/mercurypoisoningsymptoms.html, extracted Nov. 9, 2009. 20. Ellen White, Life Sketches of Ellen G. White (1915), p. 19. 22. Max Chugg, "The Ailing Health Instructor", http://www.nonsda.org/egw/egw74.shtml. 23. http://www.mercurypoisoned.com/symptoms.html, extracted Nov. 9, 2009. 24. http://www.mercurypoisoned.com/symptoms.html, extracted Nov. 9, 2009. 25. David A Olson, MD; Chief Editor: Tarakad S Ramachandran, MBBS, "Mercury Toxicity Clinical Presentation" http://emedicine.medscape.com/article/1175560-clinical, extracted Feb. 20, 2013. 26. http://www.mercurypoisoned.com/symptoms.html, extracted Nov. 9, 2009. 27. http://www.mercurypoisoned.com/symptoms.html, extracted Nov. 9, 2009. 28. http://www.mercurypoisoningnews.com/effects.html, extracted Nov. 9, 2009. 29. http://www.mercurypoisoned.com/symptoms.html, extracted Nov. 9, 2009. 30. http://www.mercurypoisoned.com/symptoms.html, extracted Nov. 9, 2009. 31. http://www.mercurypoisoned.com/symptoms.html, extracted Nov. 9, 2009. 32. http://www.mercurypoisoned.com/symptoms.html, extracted Nov. 9, 2009. 33. http://www.mercurypoisoned.com/symptoms.html, extracted Nov. 9, 2009. 34. http://www.harrycroll.com/mercury/mercurypoisoningsymptoms.html, extracted Nov. 9, 2009. 35. http://www.mercurypoisoned.com/symptoms.html, extracted Nov. 9, 2009. 36. http://www.mercurypoisoned.com/symptoms.html, extracted Nov. 9, 2009. 38. http://www.nlm.nih.gov/medlineplus/ency/article/002476.htm; http://www.mercurypoisoned.com/symptoms.html, extracted Nov. 9, 2009. 39. http://www.mercurypoisoned.com/symptoms.html, extracted Nov. 9, 2009. 40. http://www.mercurypoisoned.com/symptoms.html, extracted Nov. 9, 2009. 41. Ellen White, Testimonies for the Church, Vol. 1, P. 577. 42. Lauana Lei, "The Toxicity of Mercury," http://www.claybaths.com.au/professional/mercury_poisoning_info.html, extracted Feb. 20, 2013. 43. Andrew Hall Cutler, PhD, PE, Mercury Poisoning, http://www.noamalgam.com/hairtestbook_mercurytox.htm, extracted Nov. 9, 2009. 44. Ronald Numbers, PhD, Prophetess of Health, third edition, p. 47. 45. Andrew Hall Cutler, PhD, PE, Mercury Poisoning, http://www.noamalgam.com/hairtestbook_mercurytox.htm, extracted Nov. 9, 2009. 46. Ellen White, Letter 9, 1853, to Sister Kellogg. The portion quoted has not been released by the White Estate, however other portions of the same letter appear in Manuscript Releases volumes 5 and 6. 47. Gunn's New Family Physician, 1868, p. 324. 48. Dan Olmsted, "Hysteria, Autism, and the Durability of Sheer Nonsense", http://www.ageofautism.com/2011/12/hysteria-autism-and-the-durability-of-sheer-nonsense.html, extracted Feb. 20, 2013. 49. Dan Olmsted and Mark Blaxill, The Age of Autism: Mercury, Medicine, and a Man-made Epidemic, Chapter 2. 50. David Kirby, Evidence of Harm, p. 52.